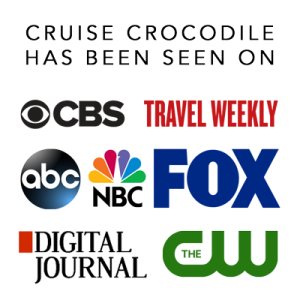 Our Castries cruise port guide gives you information about the docking location, cruise dock, transportation options and much more! Welcome to the St. Lucia cruise port guide. St. Lucia might just be the most beautiful Caribbean island around. This is an island that is not just about its beautiful beaches. This unique mountainous island shows much diversity in scenery. The iconic Pitons, the volcanic Soufriere and its lush jungle make any ride on the island a spectacular one. St. Lucia changed hands quite often during the last few centuries. The British and French have held the authority on and off. Nowadays St. Lucia is an independent state. The capital Castries is a charming small city. Although several fires destroyed the town it still has a certain old charm to it. 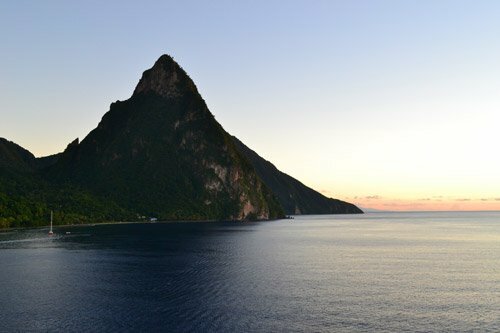 When visiting St. Lucia we would definitely recommend to go for a panoramic drive over the island. It simply is something you don’t want to miss. 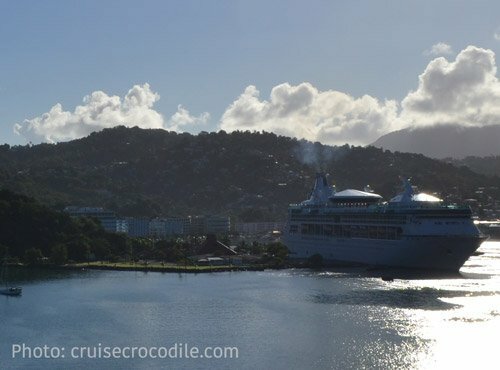 Don’t miss sailing into Castries. 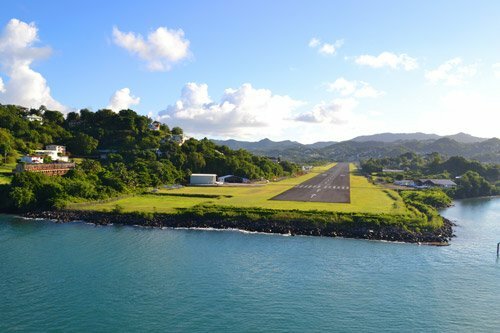 You will get a lovely view over the airport and Castries. In town you will find the central market (red roof) and several other sites to visit. There are amazing things to do on the island of St. Lucia and we would recommend everybody to go further afield and explore the beautiful scenery and nature of the island. 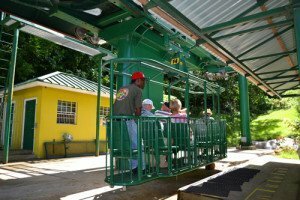 There are great activities all over the island like this arial tram. This pier is a short walk from the old city centre of Castries. You will find a tourist information and shopping centre in the cruise terminal at the dock. Taxis are waiting for you outside the terminal. When Pointe Seraphine cruise dock is taken ships dock at the Port Castries. This dock is on the other side of the harbor (see map above). From here it is about a mile walk to the city centre of Castries. There is a shopping terminal at the dock and taxis. Alternatively to a shore excursion you can opt for the taxi. The drivers are usually excellent guides. Negotiate the price before stepping into the taxi, but please know they are officially fixed by the government. 3 or 4 hours of sightseeing should cost about 150 US dollar. One way fares range from 35 to 40 US dollars to Marigot Bay and Rodney bay should be about 30 dollars one way. The rates mentioned here are per taxi. We do not recommend to rent a car in St. Lucia. In our opinion only the most experienced drivers are up to negotiate the windy and chaotic roads of St. Lucia. Public Transportation in St. Lucia is present but often crowded and unreliable. The minivans and jitneys depart from Jeremy street (see map above for exact location). These busses go in the direction of Cap Estate. At Bridge street you will find the busses leaving for Vieux Fort and Soufriere. Do not take the public transportation unless time is on your side and you are up for the ride. Cruise ships can dock in different places when visiting Castries, St. Lucia. Pointe Seraphine is one of the main cruise docks and it is most likely your ship is going to dock here. Visit our full St. Lucia cruise port guide for all the information on your docking location and transportation options. 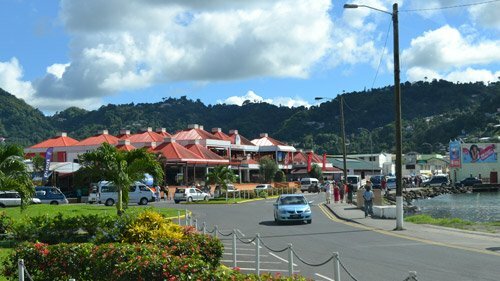 Castries in St. Lucia offers several docking locations for cruise ships. One of the options is to dock at Port Castries Berth 2. Find your other options in the full St. Lucia cruise port guide. St. Lucia offers several cruise docks. All of them are located in Castries. 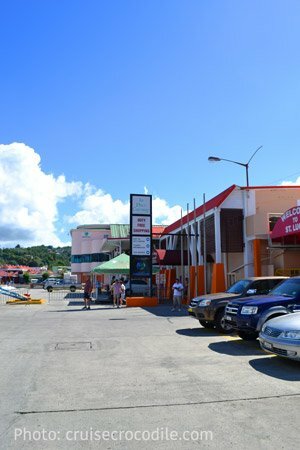 This is the cruise dock #1 in Port Castries. Read the full St. Lucia cruise port guide for all in the information on your docking location.